WAME bought a spectrophotometer (blood chemistry) machine for the clinic/hospital in Kafountine, Senegal. Their lab tech, Ibrahima, WAME administrator, Ebrima Marong, and CEO, David, traveled to Dakar for 3 days to pick up the machine and so that Ibrahima could be trained in its operation. The machine has now been in operation and is making a huge difference in the operation of the clinic. The nearest other lab that can do these tests is 2 1/2 hours away in Ziguinchor city! ​We also did extensive roof repairs to several buildings at the clinic as well as screening the windows and doors in the wards to keep out mosquitoes and prevent malaria. 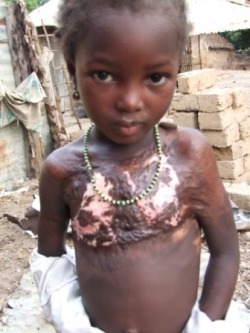 A cascade of boiling porridge covered her chest when she was a toddler. Scar tissue bound her left arm so she could only raise it part-way. The scarring restricted her chest movement and pulled her shoulders forward. 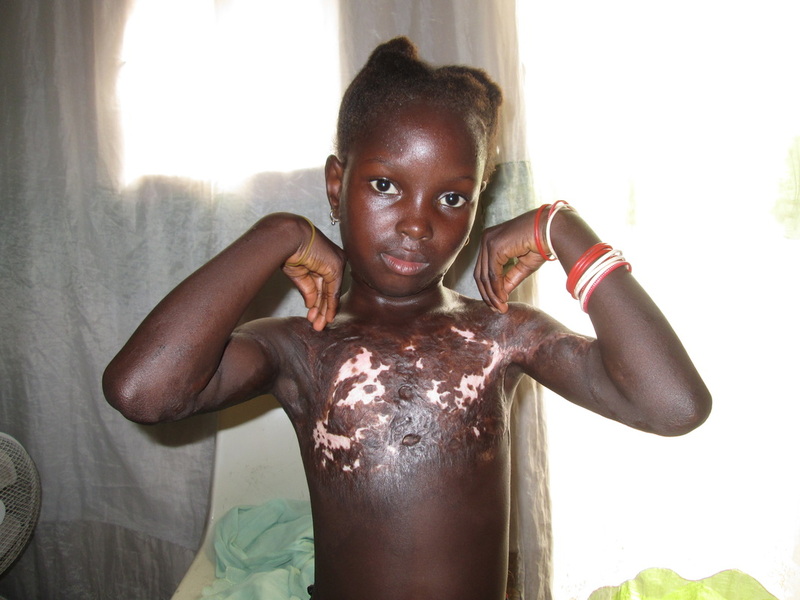 WAME raised money and paid for plastic surgery in Dakar, Senegal, and her arm has now been freed. AND, she is getting top marks in her class at school! WAME, along with the African Birth Collective, purchased and installed a new solar-powered Lorenz pump for the medical clinic in Kafountine. Their old pump had fallen apart. 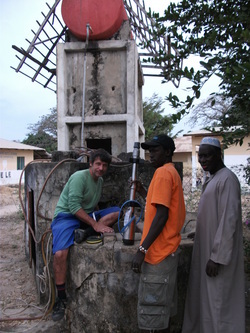 Lorenz makes "the Mercedes Benz" of solar pumps, efficient, reliable and long-lived. We wanted to get them a good one so they'd have fewer breakdowns. The clinic has running water again. We also bought them a 250 kW gasoline-powered generator. There are frequent electrical failures and this will help keep their lab, and other facilities functioning during blackouts.